Can a study of science lead us to a fuller understanding of God? In Seeing the Son on the Way to the Moon, W. Merlin Merritt recounts his experiences during the early NASA space program. He describes his struggle to integrate faith and science and ultimately concludes that technology can point us to the grandeur of God’s universe. The immensity and wonders of the cosmos point not only to an intelligent creator God but also to One who is actively involved in the universe. W. Merlin Merritt was intimately involved in spaceflight operations at NASA’s Johnson Space Center in Houston from the early Gemini Program throughout much of the shuttle program. He was one of the lead engineers during the Apollo-13 crisis who helped develop the procedures for the safe return of the crew. After 28 years, he retired from NASA and became a minister of Christian education in Houston and later an adjunct professor at the Baptist University of the Americas in San Antonio. Merritt is now retired and speaks widely at various schools, universities, churches, and other organizations, sharing his journey of faith and science. Merlin Merritt has spent much of his life exploring two worlds—the world of space and the world of Scripture. As a NASA engineer, he helped people get to the moon. 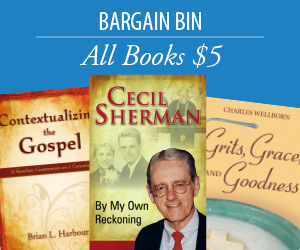 As a longtime Bible study teacher and minister of education at a church, he helped people understand the Bible. In this book, those two worlds intersect, and we get to explore both of those worlds with him. It’s a delightful and illuminating adventure. This book is an exhilarating story that takes readers behind the scenes during the events of the Apollo 13 mission. Through his engaging illustration of the numerous catastrophic events during the mission, he provides readers with little-known spiritual revelations he and others perceived, which would ultimately transform all the lives that bore witness to it. Building on this experience, he expertly weaves together the writings of well-respected scientists and theologians to present astute arguments for several controversial issues that have been sources of intense debate. He does so, however, in a loving manner that speaks to both scientist and theologian alike and prompts the reader to consider that the search for truth is not complete without the consideration of both. Scientific discoveries at times have challenged believers who see a tension between their Christian faith and science. It is with pleasure that I read Walter Merlin Merritt’s account of how he has integrated his experiences as a NASA engineer with his deep faith. I was encouraged by the honesty and the charity of his account. Merlin Merritt is one of the finest and most sincere people I had the privilege of getting to know while working on my book. 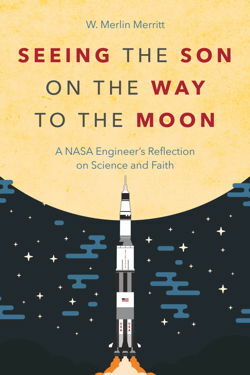 As instrumental as he and other flight controllers were in bringing the crew of Apollo 13 home safely, Merlin has exhibited that same kind of passionate intensity in his own book in which he examines the relationship between science and faith. You won’t be able to put it down!